Thank you to everyone who helped make this year’s Breast of Friends Gala a success! 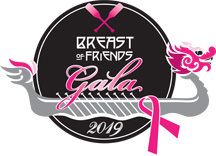 Proceeds from this event support the activities of the Dragon Dream Team including our community outreach program Boatloads of Hope offering encouragement and inspiration to survivors and families during their breast cancer journey. In June the team will travel to Canada to participate in the Fanshawe Dragon Boat Festival. Proceeds from this event will help support the Rowbust organization and the ACT Now Patient Assistance Fund. 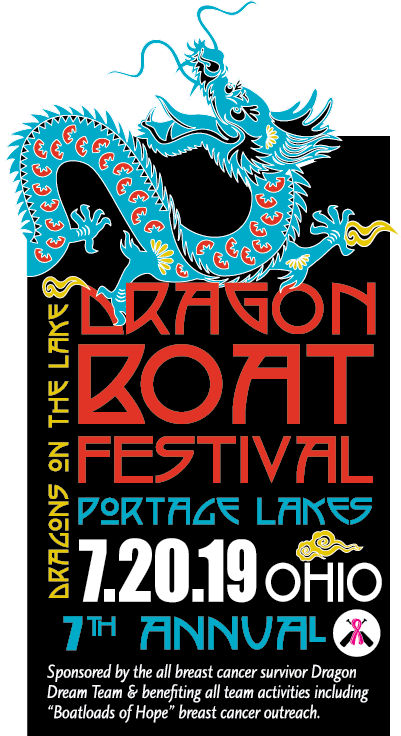 Join the team and more than 1,000 dragon boat enthusiasts at the 7th Annual Dragons on the Lake Festival on July 20th at Portage Lakes State Park for a day of camaraderie, competition and fun. Breast Cancer Survivors, Corporate and Community teams race Hong-Kong style dragon boats in heart-pounding sprint races. In addition to racing and cheering, everyone can enjoy the drummer costume and team tee shirt contests, local food vendors and great music. For more festival information or to register your team, please contact Sara Eddy. 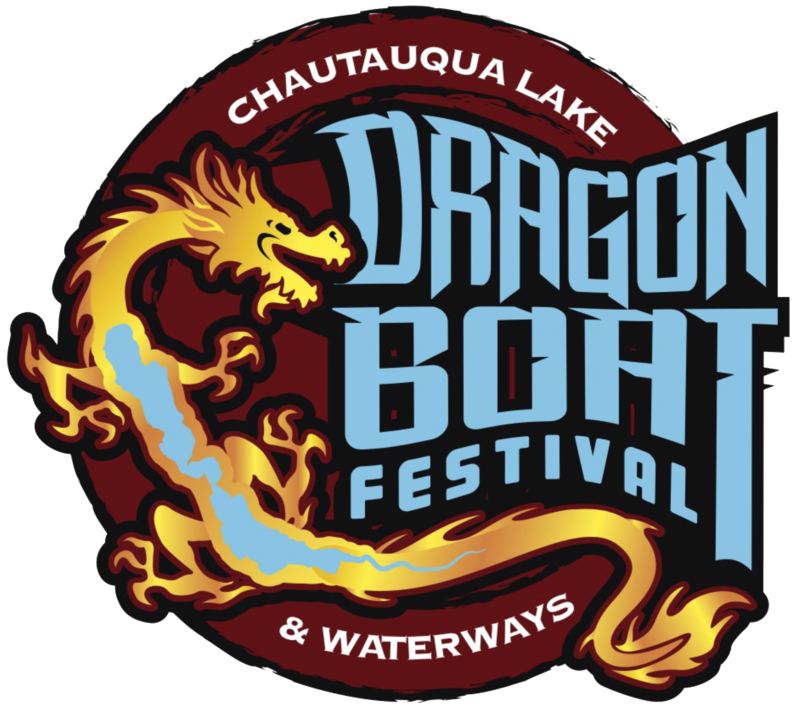 Racing teams and supporters will cheer on DDT as they join the fun at the fourth annual Dragon Boat Race on Lake Chautauqua at Lucille Ball Memorial Park. For more information about this festival, visit their site. The Dragon Dream Team is excited to travel to Indianapolis and participate in the 9th Annual White River Festival. This special day of teamwork and camaraderie is part of the White River Alliance’s annual fundraiser to help protect and improve the White River waterway. The Dragon Dream Team has returned from our thrilling journey to the “Olympics” of Dragon Boat racing in Florence, Italy. With a lot of hard work and support from family, friends, corporate and community sponsors, we paddled with 124 Breast Cancer Survivor teams from all over the world. DDT sent two competitive teams to the festival: Team Dream and Team Hope. Dream finished first among United States contenders and third among all participants. Team Hope finished 80th, a fantastic accomplishment considering many Team Hope members are new paddlers. In addition to races, the team participated in a Parade of Nations, an international survivor ceremony and sight-seeing. 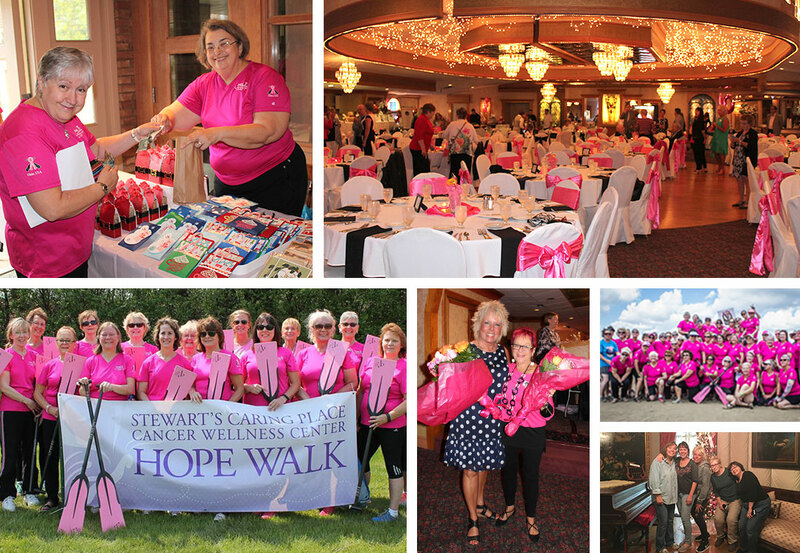 Dragon Dream Team members participate in many community cancer awareness and fundraising events, including the American Cancer Society’s Making Strides Against Breast Cancer, the Komen Walk for the Cure and The Gathering Place’s Hope Walk.